A screen shot from the 11-minute Vaxxed video available on YouTube. 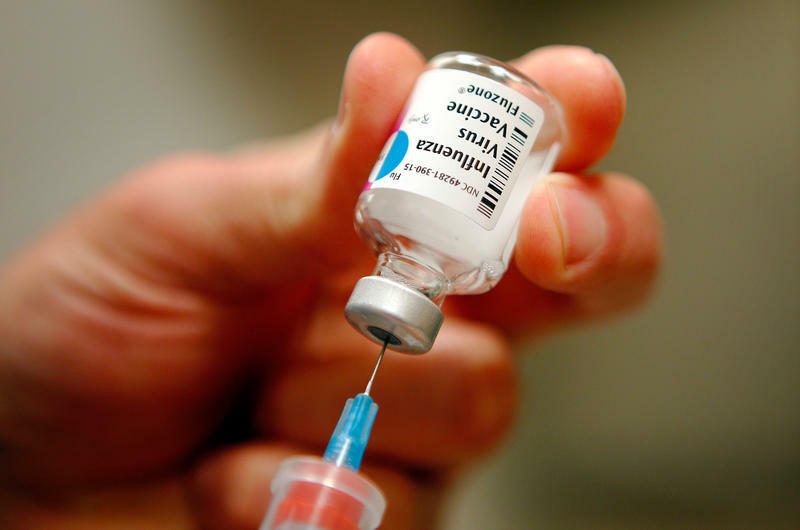 Medical professionals have been quick to counter comments made by Bexar County District Attorney Nico LaHood about a link between autism and childhood vaccinations. The medical groups stress there is no scientific link between the two, and vaccinations are an important preventative measure for children. The D.A. drew public backlash after he appeared in a documentary produced by an anti-vaccine group. "I'm Nico LaHood, I'm the criminal district attorney in San Antonio, Texas. I'm here to tell you that vaccines can and do cause Autism," says Bexar County D.A. Nico LaHood in a clip for a documentary series called Vaxxed Stories. In the 11 minute video, LaHood, and his wife, Davida, say they believe their two oldest children were harmed by vaccines. The LaHoods say at birth their son was fine. “The first year he was a very alert baby, he was very talkative. He was happy, he would smile a lot,” Davida LaHood says. The couple claims that changed after a round of vaccines at 18 months. Their son developed tics and stopped responding to his name. Speaking to Texas Public Radio on Tuesday, LaHood says he and his wife decided to not vaccinate the two youngest of their four children. LaHood’s comments – coming from a well-known public official- drew swift criticism on his Facebook page, and raised alarm bells among health professionals. They seemed concerned parents would be persuaded to skip immunizations for their own children. The San Antonio Metropolitan Health District put out a statement saying vaccines are a public health success story, eradicating diseases like polio, diphtheria and measles. Dr. Melissa Svoboda runs the autism program at Children’s Hospital of San Antonio and says the anti-vaccine message can be harmful to children. Svoboda says there is no confirmed link between vaccines and the development of autism. She says the idea that there is one may stem from the way regressive autism manifests itself. LaHood said Tuesday he’s not opposed to vaccinations for parents who want their children to have them. He said he and his wife made a different decision and wanted to share their story. Below, the video featuring Nico LaHood's story, produced by the team behind the documentary film "Vaxxed." School starts for most Texas children this month. Immunization clinics are full of parents taking their children to get shots. But last year almost 45,000 students in Texas schools had non-medical exemptions. Health officials are concerned. San Antonio health officials say the outbreak of measles in California traced to Disneyland hasn't made its way to South Texas. At least not yet. Texas Public Radio’s Shelley Kofler talked with Dr. Thomas Schlenker, Director of Health for the San Antonio Metropolitan Health District, about concerns. Who is most at risk? Why aren't some children vaccinated? Read excerpts from the interview below.